Anthony Falzone is the developer of the open source, public domain aircraft propeller design software named PROP_DESIGN. We talk with Anthony about basic propeller design parameters and the mathematics involved. He tells us why propellers (which are really rotating wings) have different numbers of blades, and he explains propeller pitch, including variable pitch props. PROP_DESIGN can be used to design aircraft propellers, but it also works for similar products such as propfans, open rotors, unducted fans, and geared turbofans. With the software, you can find the optimum geometry for any given operating condition, analyze takeoff condition, design swept blades, and much more. Anthony is retired now, but he worked in the aerospace industry for over twelve years, holding positions at Hamilton Standard, Pratt & Whitney, McCauley Propeller Systems, and Atlantic Inertial Systems. He also did contract work for the Air Force Compressor Aero Research Lab, and designed the propeller for the General Atomics Predator B and Altair unmanned aerial vehicles. On the March 8 anniversary of the disappearance of flight MH370, the Malaysian Ministry of Transport made available the MH370 Safety Investigation website, which provides links to the Interim Statement and Factual Information on the investigation of Malaysia Airlines Flight MH370. Australian Deputy Prime Minister Warren Truss has said the country’s search for missing Malaysia Airlines flight MH370 “cannot go on forever.” The current phase of the search is scheduled to end in May. The Delta Air Lines Inc. plane that skidded off a runway at LaGuardia Airport last week injured 23 passengers and damaged about 940 feet of the airport’s perimeter fence. You can fly from New York’s JFK airport to California, and you can fly from Newark Liberty airport to California, but under the “perimeter rule,” in most cases you can’t fly from LaGuardia to a destination more than 1,500 miles away. Except on Saturday or to Denver. The perimeter rule was established in 1984 to combat overcrowding at LaGuardia, but the Port Authority of New York and New Jersey is considering lifting the rule. 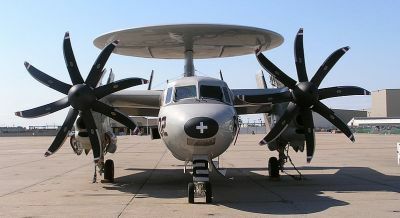 The NP 2000 propellers are large, 8-bladed propellers used on the Northrop Grumman E-2C Hawkeye (a tactical airborne early warning aircraft), the Grumman C-2A Greyhound (twin turboprop cargo plane used for aircraft carriers), and on C-130 Air National Guard aircraft. NASA uses their P-3 for scientific investigations and as a technology test bed for new airborne and satellite instrumentation. 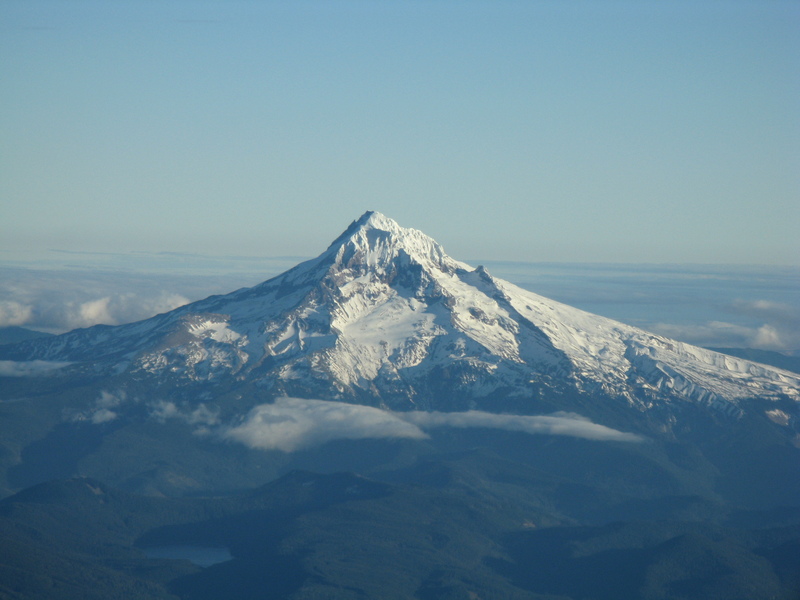 Steve is solo this week as Grant returns from hot air balloon operations interstate. This week we present an interview with Andre Zimmerman from Pilatus Aircraft about the development of their new PC-24 business jet, recorded at the 2015 Australian International Airshow. MH370 conspiracy theories and why we believe them – Rob Mark contributes to this video report. Explore every yard of where planes go to die in amazing resolution: Bing unveils interactive map of biggest aircraft graveyard in the world – The map shows 2,600-acres of Arizona desert where several generations of military aircraft are stored. It lets you zoom in and look at the planes using an aerial view of the site. Les Chevaliers du Ciel HD Promo – (Sky Fighters) with all actual footage. New Hampshire lake is only ice runway in lower 48 states. Mayday Machine – Talks about the NASA Ames Research Center, Intelligent Systems Division testing their Emergency Landing Planner software, and other automation issues. Pilot Error – Trailer for the independent film. This entry was posted in Episodes and tagged Airport, LaGuardia, MH 370, propellers on March 11, 2015 by maxflight. A replacement for the T-38 jet trainer, FAA releases proposed regulations for small UAS, the world’s largest airport terminal is planned for China, changes to airline rewards programs, great aviation stories, and discussions about pilot reliance on automation and the Delta refinery. Steve Taylor is a graduate of The Citadel with a degree in civil engineering. He served six years as a pilot in the U.S. Air Force with service in Vietnam flying a C-130. Following a long flying career, he retired as an international airline captain. Along the way, Steve has flown the J-3 Cub, T-37, CV-880, DC-9, B-727, B-767, and L-1011. Steve’s autobiography, Wheels Up: Sky Jinks in the Jet Age, tells great true-life stories. Steve has been a solo ocean sailor and holds a U.S. Coast Guard captain’s license. He has owned and operated a commercial construction company and is a Coastal Master Naturalist. 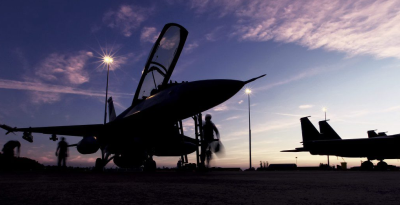 The U.S. Air Force wants to replace the T-38 Talon with a new two-seat jet trainer. The T-X program anticipates at least 350 planes and Northrop Grumman has a prototype that they plan to fly this year. Its a clean sheet design. The FAA announced a Notice of Proposed Rulemaking (NPRM) for commercial use of small drones weighing less than 55 pounds. These unmanned aircraft must be operated within visual line of sight, under 500 feet AGL, and during daytime hours only. Operators would be required to pass an aeronautical knowledge test and obtain an unmanned aircraft operator certificate with a small UAS rating. Public comments can be made online at the Regulations.gov website referencing Docket FAA-2015-0150. 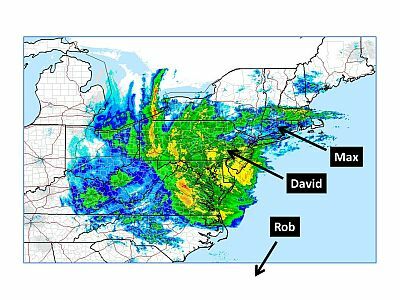 Max and David provide an initial reaction to the NPRM in Episode 81 of The UAV Digest. Zaha Hadid Architects has unveiled plans for its Beijing New Airport Terminal Building, which it says will be the world’s largest. Reportedly, the 7.5 Million Square Foot facility is to be completed in 2018. Effective April 17, Southwest rewards points will depend on the destination, time, day of travel, demand, and some other factors. Other airlines are making changes too: Delta Air Lines switched from miles traveled to dollars spent. United Airlines plans to switch to a similar plan. Jamie Dodson tells us about the Cessna 172. How To Be a Rocket Scientist – A book, blog, and more on STEM. 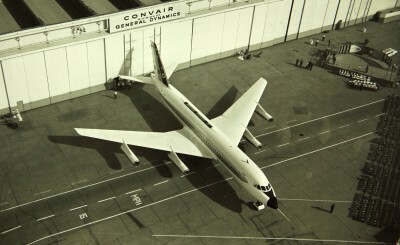 Convair 880 Rollout Day image by San Diego Air and Space Museum Archive via Wikimedia Commons. This entry was posted in Episodes and tagged Airport, Cessna, China, drone, FAA, Southwest, T-38 on February 18, 2015 by maxflight. 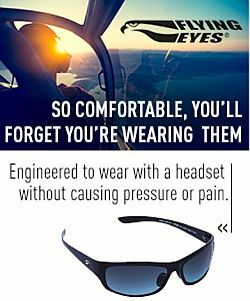 Running a privately owned/public use general aviation airport, flight instruction, FAA position on GA ride sharing, biometric technology at the airport, an airline passenger survey, the C-130, Exercise Black Pitch, and a HondaJet interview. Shelly DeZevallos from West Houston Airport tells about running a general aviation airport. She grew up around the small, gravel strip airport where her father worked as a flight instructor. He bought the airport in the 1970’s, and now West Houston Airport is the family’s privately owned/public use airport with a dual taxiway, a 4000 foot runway. About 375 airplanes are based there. Mike Camelin from SunState Aviation also joins in with Shelly to talk about flight training. 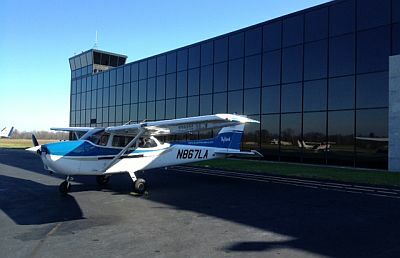 The demand for pilots makes this a good time to get your license and we discuss paying for training, pacing the instruction, and what to look for in a flight school, such as maintenance of the aircraft, dedication of the flight instructors to your learning, and the professionalism of the entire staff, not just the CFIs. Biometric technology – the key enabler of a single passenger token and improved passenger tracking? In early 2015 a biometric-based trial called “Happy Flow” could launch at Aruba Airport. A biometric scan at check-in would create a “passenger token” that would then be used at other checkpoints. No more boarding passes. This is a collaboration between Air France-KLM, the governments of Aruba and the Netherlands, and Aruba and Schiphol airports. The Street conducted a telephone survey with about 1,000 interviews, and 63% don’t have a preferred airline, while only 5% consider frequent flier miles important. What annoys Americans when traveling by airplane? 73% say high ticket prices. Rob Mark interviewed Andrew Broom, Division Director of Corporate Communications and marketing at HondaJet. 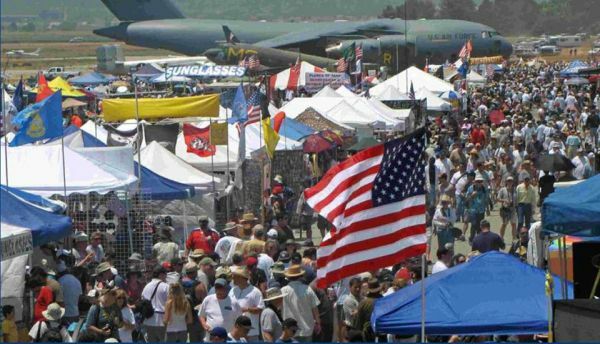 Recorded at Airventure 2014. 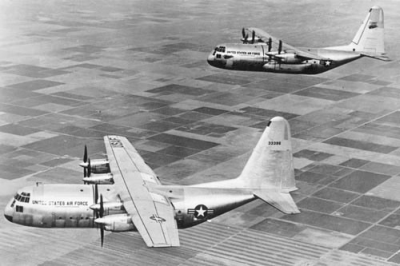 In Honour of the 60th anniversary of the aircraft that Kelly Johnson thought would, “destroy Lockheed,” David does a “Not a History Segment” on his all-time favorite aircraft: the Lockheed C-130 Hercules. “The First Lady” resides peacefully at Eglin Air Force Base. Fulton Recovery System video. Grant’s back from a week in Cairns covering Exercise Pitch Black 2014 which brought together combat aircraft from Australia, Singapore, Thailand, the United Arab Emirates, and the United States. Thanks to our contacts with the RAAF media department, Grant was airside at Darwin and Tindal RAAF bases getting photos and videos plus recording plenty of content for a future PCDU episode. 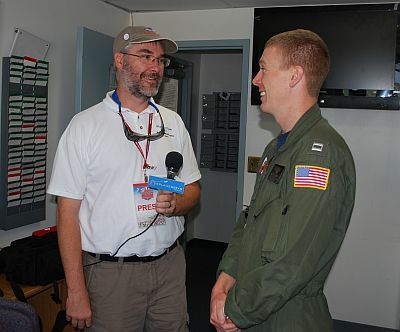 In amongst the many interviews Grant recorded, he spoke with Lt Col Scott Abogast, the detachment commander for the 12 US Air National Guard F16s. PaxEx Podcast Episode 16: Fierce Competition and Blind Recognition with Ryan Ghee, editor and event strategy manager at Future Travel Experience. Opening and closing music courtesy Brother Love from the Album Of The Year CD. Find his great music at brotherloverocks.com. This entry was posted in Episodes and tagged Airport, C-130, FAA, flight training, HondaJet, travel technology on August 20, 2014 by maxflight. Freelance aviation journalist Jason Rabinowitz joins us to talk about FAA deadlines, passenger behaviour on charter flights, and the state of U.S. airport infrastructure. Also, the best aviation museums, Jetblue’s new FlyFi system, travel technology, and analyzing travel data. 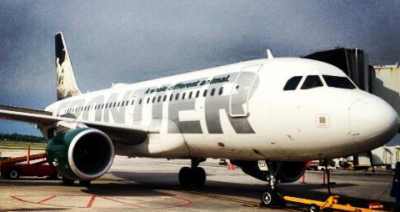 Jason is @AirlineFlyer on Twitter and also see his Facebook page. 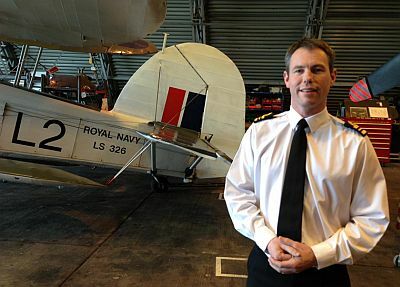 Find Jason’s writing at Airchive, AirlineReporter, and the Runway Girl Network. Is Bieber getting out of control? David Vanderhoof’s segment: Suzie the Cirrus and her adventure with Mr. Alex. This week we have a recent interview with Matt Hall, talking about his preparations for the upcoming Red Bull Air Race season. For US listeners, there are two races this year – one in Forth Worth and the other in Las Vegas. Pieter talks to Krzysztof Kuska Editor-in-Chief of Infolotnicze about the decision by the Polish military to proceed with buying the Alenia Aermacchi M-346 twin-engined jet trainer as its Lead-in Fighter Trainer (LIFT) aircraft to replace its aged fleet of over 100 PZL Mielec TS-11 Iskra jets; significantly under cutting BAE and Korea Aerospace/Lockheed Martin in the process. Pieter learns the M346 and Yak 130 share the same development stable, but this does not fit comfortably with some in Poland. 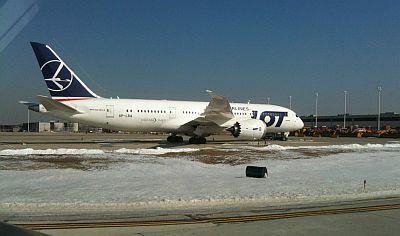 They also discuss the current pressure on the national airline LOT to look for both internal and external investment and its recent bad luck with the Boeing 787 service. Follow Infolotnicze on Twitter, Facebook, and Google+. Find Pieter on Twitter as @Nascothornet, on Facebook at XTPMedia, and at the Aviation Xtended podcast. 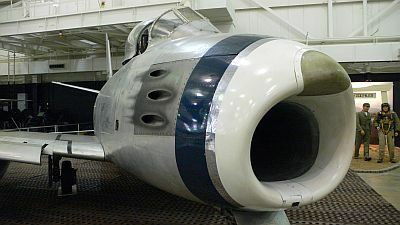 This entry was posted in Episodes and tagged Air charter, Airport, Aviation museum, FAA on February 12, 2014 by maxflight. Harriet Baskas writes the monthly At the Airport column for USA Today, as well as occasional features at NBCnrews.com and MSN Travel. She also manages the collection of online Airport Guides at USA Today. We talk about the recent Travel Goods Show in Las Vegas and some of the products of interest to air travelers. Also, things airports have been doing to increase the experience like better restraurants and bars with broader appeal, a liquor store in baggage claim, and even free land lines that are advertiser supported. Rob even learns something interesting he didn’t know about Chicago’s O’Hare Airport! Rob even learns something interesting he didn’t know about Chicago’s O’Hare Airport! Find Harriet’s blog at Stuck at the Airport and follow her on Twitter at @hbaskas and @stuckatairport. 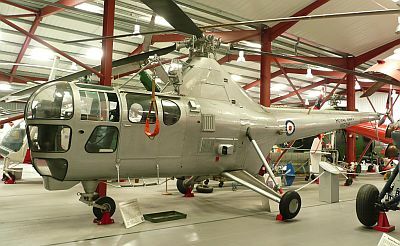 Recorded at the end of the final day of Avalon 2013 – The Australian International Air Show. We talk to Eamon Hamilton, Public Affairs Officer for Air Lift Group, Royal Australian Air Force, about the Air Show from the RAAF perspective. 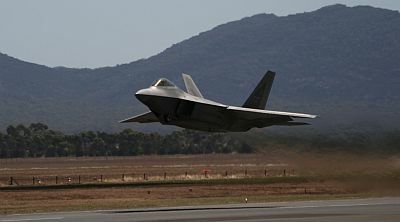 We also include a brief discussion about the F-22 Raptor display over Avalon, the first time this aircraft has been displayed in Australia skies, and include a clip from our interview with the display pilot, Major Henry Schantz. Find full Avalon 2013 daily video and audio coverage at www.planecrazydownunder.com. 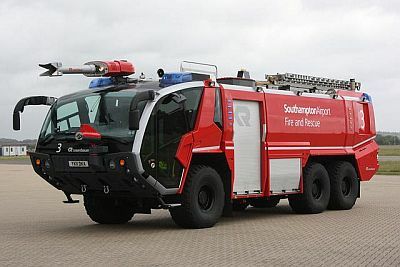 On the Southampton Airport miniseries this week we talk to the airport Fire Service. What are their capabilities, strength and how do they stay alert for the 1.7 million passengers that travel safely through the airport every year. Flashback Fridays: Farewell to a Friend, the post on Nuts About Southwest about the loss of Brian Lusk. Excerpt from the interview with Brian Lusk on the Airplane Geeks Episode 156, originally published July 19, 2011. This entry was posted in Episodes and tagged accident, Airport, F-35, jetBlue on March 6, 2013 by maxflight. Guest Jon Bird is the Creative Manager for Social Media with American Airlines. 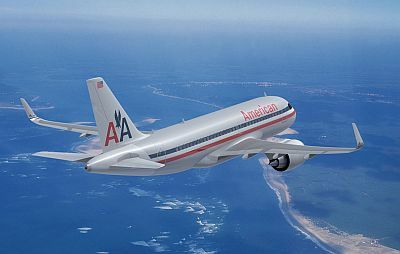 We talk with Jon about how American Airlines came to establish a social presence, using it as a reputation management tool and as a “crisis management” tool, as opposed to a marketing tool. American employs an integrated model for both offense (the engagement side) and defense (customer relations issues). They use social media to talk to their customers, listen to their customers, and watch their customers talk among themselves about their American Airlines experiences. We discuss American “advocates” among their customers and how AA works to strike up relationships with them. Also, other American initiatives in the social media space for their customers. David’s Aircraft of the Week is the Convair R3Y Tradewind. Steve talks about his RAAF C-130H ride over Sydney during the week and presents and interview with the pilot, Flight Lieutenant Tony Charles. Grant also got amongst the action at RAAF Base Richmond getting a tour of the control tower and a great view of the C-130H fleet practising for a big week of farewell flights. 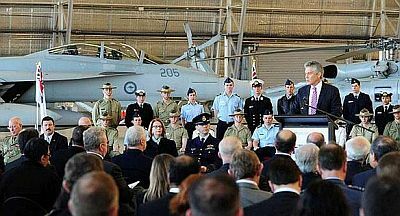 In other RAAF news, the Boeing Wedgetail AEW&C aircraft have achieved IOC, marking a major milestone in Australian Defence Force capability. On Across The Pond this week we talk to a new regional expert, this time from Middle East and North Africa (MENA). Oussama Salah has significant airline, corporate and consultancy experience and in the segment we look at the regions main airlines and airports. Like our other regional experts on ATP we will get regular updates from Oussama on key MENA aviation issues. Find Oussama on Twitter as @obsalah, on his blog Oussama’s Take, and on Facebook. According to Math! How much CO2 by weight in the atmosphere?, there is a total of ~ 3×10*12 (3 trillion) tonnes of CO2 in earth’s atmosphere. The EU ETS wanted to reduce aircraft emissions from a “baseline” of 2.19×10*8 (219 billion) tonnes of CO2 down to 2.08×10*8 tonnes by 2013 (Commission sets first emissions cap for aviation sector). Doubling the amount of CO2 in the atmosphere increases the global temperature by ~ 1.2C to 3C, depending on what model is used (The Discovery of Global Warming ). That’s a “sensitivity” of ~ 4 to 10×10*-13 C/tonne (0.4 to 1.0 pico C/tonne). The EU’s desired reduction of 1.05×10*7 tonnes would result in **Gasp** 4.2 to 10.5×10*-6 C (no more than 10 millionths of a deg. C) less warming!!! Feel free to check the math. We didn’t! This entry was posted in Episodes and tagged A340, Airport, American Airlines, C-130, Social media, WiFi on November 28, 2012 by maxflight. 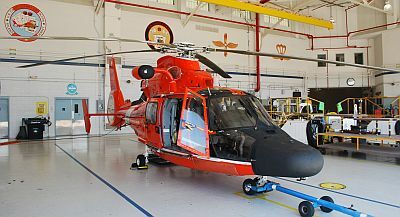 We have David’s interview with Lieutenant Jay Kircher from the U.S. Coast Guard Air Station Atlantic City in New Jersey. Steve and Grant had a light news week but submitted an Australia Desk report nonetheless with a third airport for Melborne and spam from Tiger Airways (you can opt in but try opting out!). Our European contributor Pieter Johnson has an Across the Pond segment with Tim Gresty, Managing Director at Cognitio, about airline super hubs and the threat to the European superhubs such as London Heathrow from the middle east and this is being affected by the alliances as well as joint ventures such as those being formed by Qantas, breaking decades of traditional links with airlines such as British Airways. This short show is rounded out by voice mails from a couple of listeners. Look for a full episode next week with another great aviation guest. 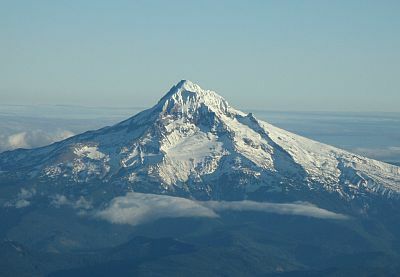 This entry was posted in Episodes and tagged Airport, Coast Guard on October 31, 2012 by maxflight.